This book is a trade paperback of 248 pages, 6X9 inch format. List price is $17.95. Introductory price is $16. Shipping is $2.00. To order an autographed copy, go to the contact page and email the author for instructions. The book may be purchased through PayPal. Click below. 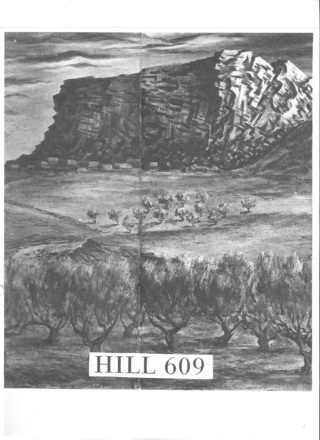 The hill that was named Hill 609 was the site of a pivotal battle in North Africa. It looms dark in Danny's future. 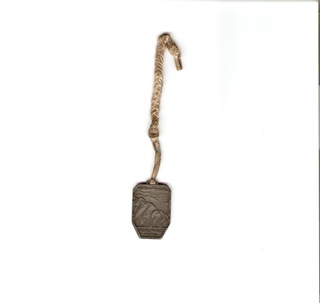 Sis womders whether this talisman will bring Danny luck. Or is it meant to do him harm? Winner of 2014 Top Hand Award as Best Mainstream Novel in Colorado Authors' League competition. Judges said, in part,"A haunting novel....This book lingers in the mind after you read it." When the Japanese bomb Pearl Harbor on December 7, 1941, a shocked nation sits in movie theaters and stares in disbelief and horror at the huge black smoke clouds roiling endlessly from the shattered hulks of what is left of their country's navy. Suddenly thrust into the war that has been raging safely thousands of miles away across two oceans, Americans scan the maps in their local newspaper and, as 1942 proceeds, see that Axis forces dominate Europe from Scandinavia all the way down to the Mediterranean and across that sea into North Africa and east through Egypt. In the Pacific, the Japanese control Korea, China, and on down the Malayan Peninsula to sweep across the Pacific Islands and on east clear into the Aleutian Islands. &nbspOnly Great Britain, Australia and a few other American Allies remain free, and they are under constant attack. &nbspIn Hiram's Spring, Nebraska, home-town paper editor Hal Greggory writes unbelievable headlines. Desperate for help as the country pulls its young men into the service, he enlists his wife, Bess, away from house-wifely duties to become a reporter. &nbspSeventeen-year-old Danny Greggory abandons plans to go to college and enlists in the army. And 10-year-old Sis Greggory is left to cope with a world that has lost its center. She throws herself into civilian drives to collect every kind of metal down to tin foil, paper, and grease, to grow food and help harvest crops. Anything is worth doing to help keep Danny safe. The army quickly begins to build an air base just east of Hiram's Spring. After a few months of intensive work, B-17 bombers crews arrive for their final training before taking the sky for the war front. Then the town learns it will be host to unthinkable guests: Axis prisoners of war will be shipped into the valley and be interned close to the air base. A nurse wants to rent Danny's empty bedroom. The family of Sis's best friend falls under a cloud because of their German heritage. Local Japanese-Americans are suddenly suspect and some disappear into U.S. government custody. Nobody knows who they can trust. Before it is over, the passions the war arouses will forever mar the lives of Sis, Danny and Horst, a German prisoner of war. Not to be Forgiven explores the explosive emotions that ripped through the home front as World War II raged on and on. With the sure-handed strokes of a master writer, Peterson tells of friendship marred by hatred and fear, and of the way in which love and understanding can finally redeem the past. A magical and mesmerizing story. 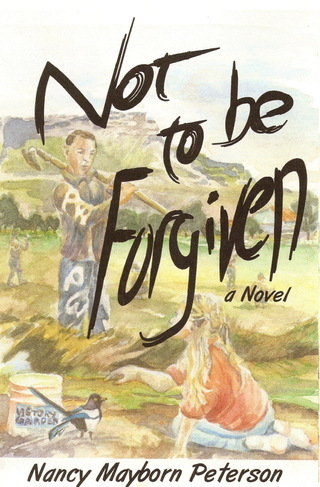 Not to be Forgivenis a haunting novel about how the war twists the life of a young girl living thousands of miles from World War II battlefields. In an attempt to stop a new cycle of hatred, a woman today reveals the secrets that have seared her soul since that long-ago time. Both historian and storyteller, Nancy M. Peterson, whose nonfiction books on the West are classics, writes how a wartime friendship flares into hatred, leaving scars that cause a lifetime of regret. Set against a background of wartime rural America, Not to be Forgiven is not to be forgotten.